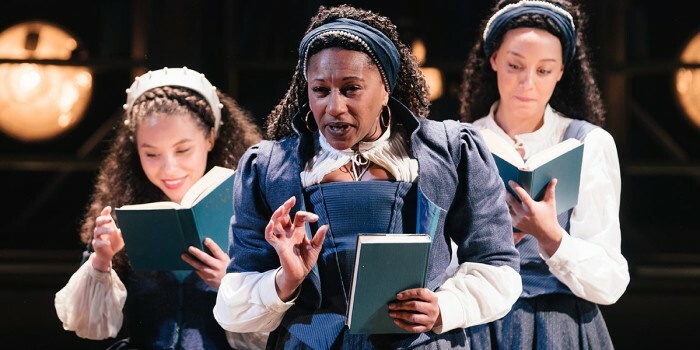 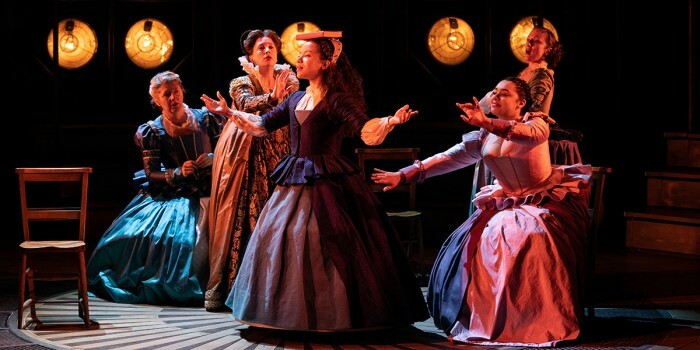 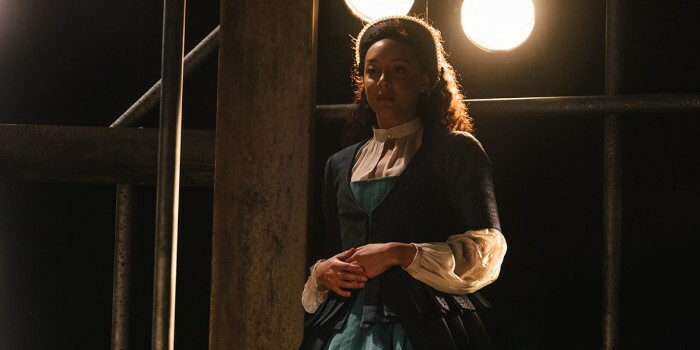 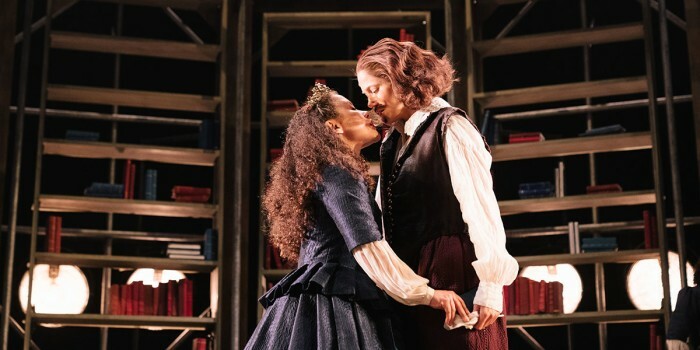 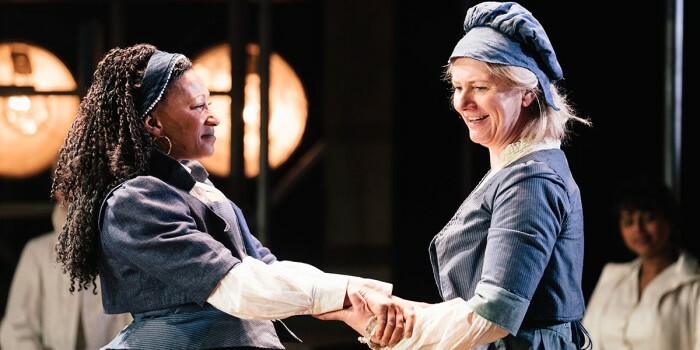 Clare Perkins (Emilia 3), Saffron Coomber (Emilia 1) and Adelle Leonce (3) in Emilia at the Vaudeville Theatre. 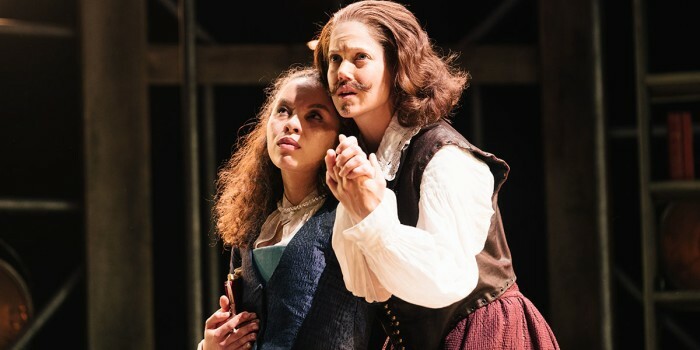 Photo credit Helen Murray. 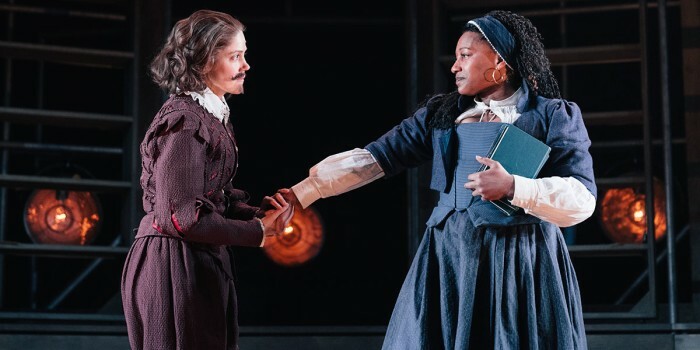 The untold story of Emilia Bassano is finally being shared with audiences at the Vaudeville Theatre. 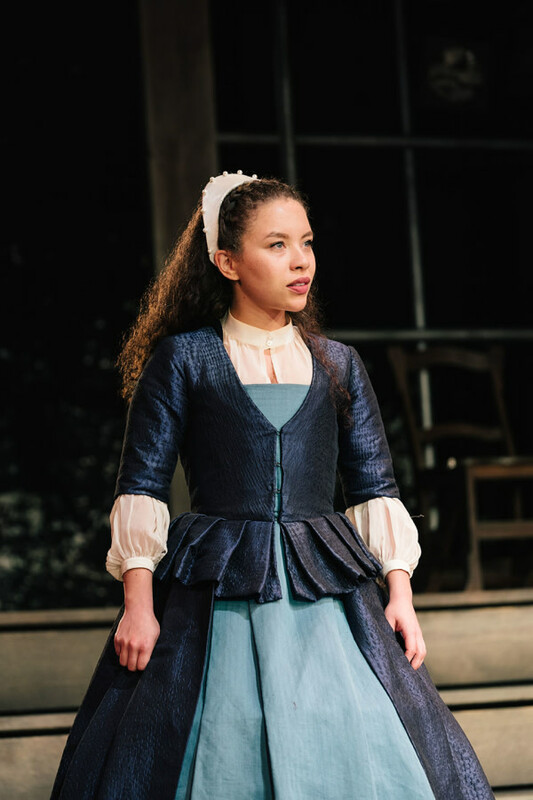 To get you ready to hear her story, here’s an exciting first look of Emilia production photos of the show. 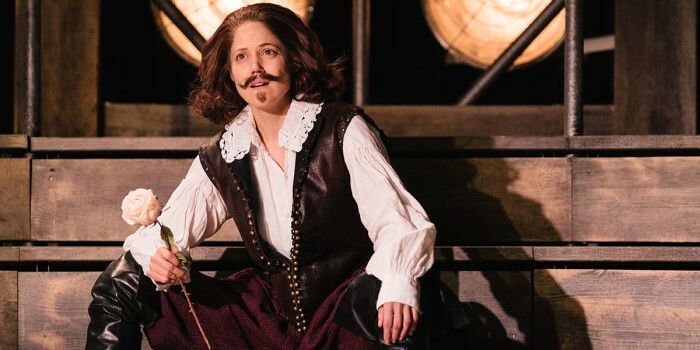 Bassano was a writer, teacher, poet and mother said to have been ‘The Dark Lady’ of Shakespeare’s sonnets and one of literature’s first female voices – yet her story has gone untold for centuries until now. 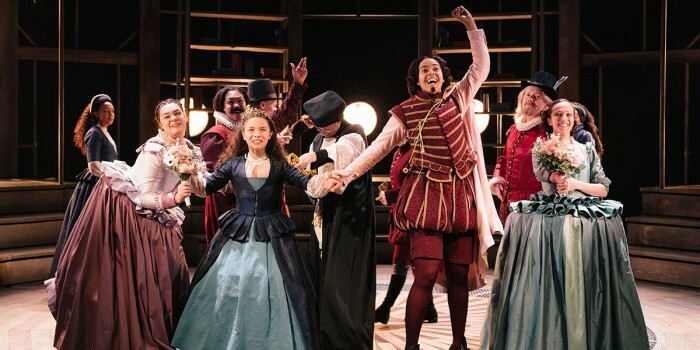 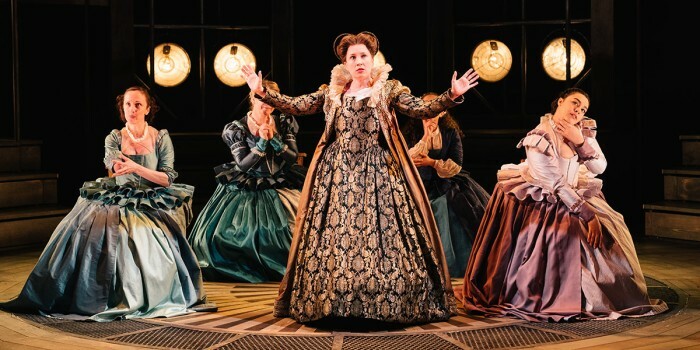 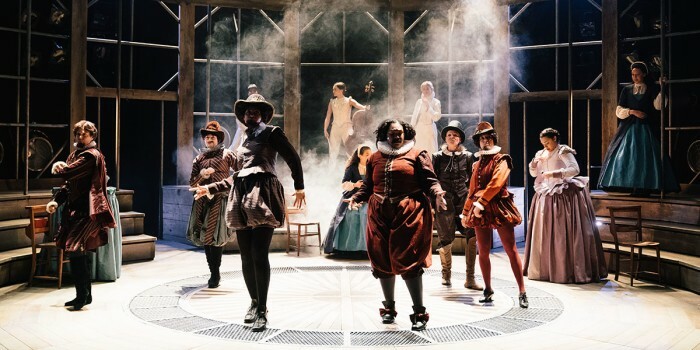 Directed by Nicole Charles, the show was a massive success when it first ran at Shakespeare’s Globe, playing to a packed-out venue for eleven nights. 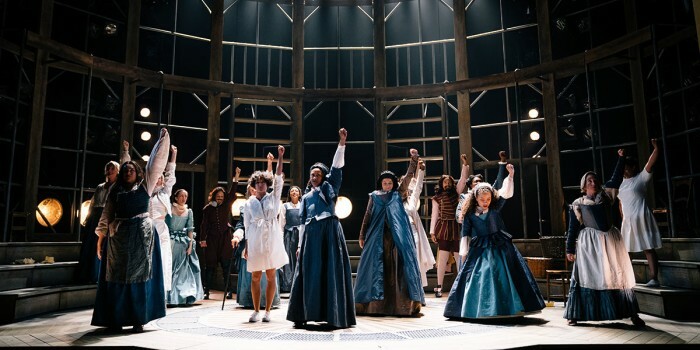 It was so successful that it’s transferring to the West End for a limited time only! 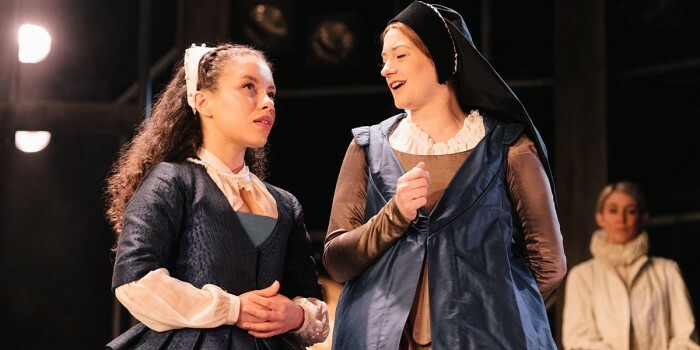 The role of Emilia is played at different stages of her life by three actresses (Saffron Coomber, Adelle Leonce and Clare Perkins) supported by an all-female ensemble cast playing both male and female roles. 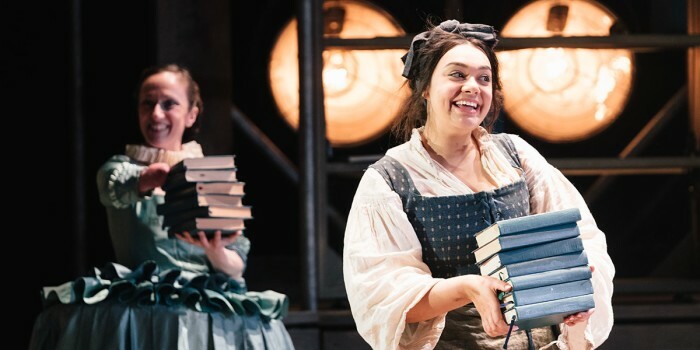 Emilia will run for a strictly limited run at the Vaudeville Theatre between 8 March – 15 June 2019. 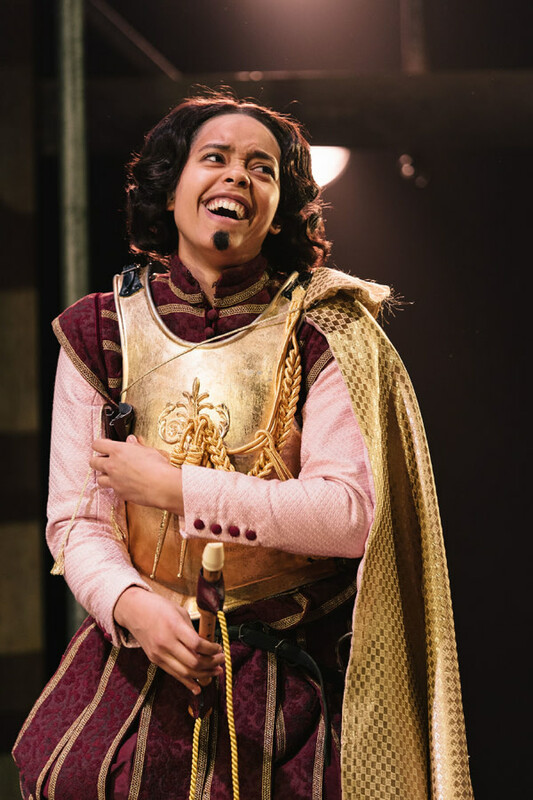 You can buy your tickets right here on Official London Theatre!